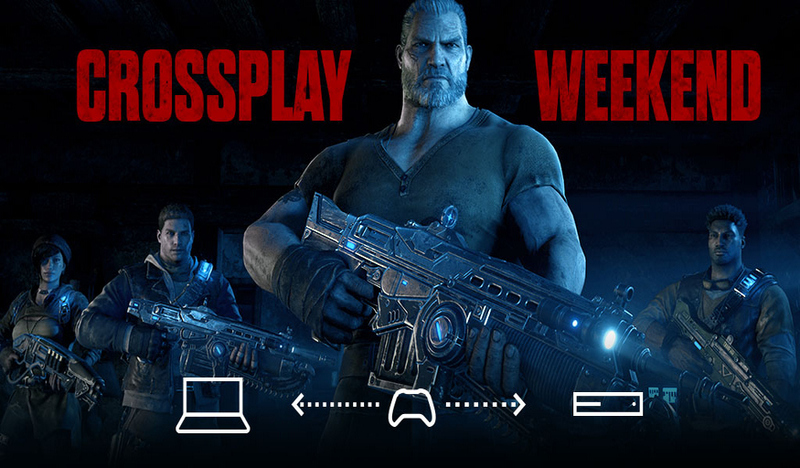 The Coalition may have initially opened up ‘Crossplay Versus’ to private matches only in Gears of War 4, but starting today, PC and Xbox One players will have the chance to get matched up against one another in a special cross-platform competitive playlist. The Coalition is making no promises that players will definitely play against one another, and they said that this is an attempt to hopefully provide a more permanent solution to a problem that has long-splintered multiplayer communities. Regardless, they are offering massive match XP bonuses to anyone who participates, and also allowing for larger parties. This also comes on the back of the news of the upcoming December update, which brings a couple of new maps, community events, and more. As Gears of War 4 has adopted a “rotating” map pool, meaning that certain maps can come in and out of rotation over a few months, the two new offerings, Glory and Speyer, might not be here for long. On top of new maps comes a daily rewards system, vertical split-screen for PC players, audio fixes and more. The Coalition is also making Gears of War 4 33% off for the entire month of December, perhaps as a way to get more players involved in upcoming Christmas and end-of-year events. Though Gears of War 4 has had some news of a lagging playerbase, The Coalition seems to be doing everything right to get PC players involved in their take on the gritty, third-person shooter series. Couch co-op, PC optimizations, and much more are all designed to foster a budding relationship with PC gamers who haven’t seen an entry in the series since the first back in 2007. Might we see the beginning of a PC and console multiplayer relationship? It’s hard to say right now, but The Coalition should be commended for at least trying.